Sounds like a plan. If you can't skip the carbs, at least add a bunch of healthy fat to them. Last edited by OGputtnfool; 01-16-2019 at 01:30 PM. We have had one for over a year, and honestly we never use it. Ours was noisy, still took a while, and hated the cleanup on it. We did wings, spanakopita, fries, onion rings, and a variety of potatoe preparations. The only thing I thought it did a decent job on,when weighing speed and outcome, was onion rings. That's too bad, ours is a breeze to clean. Its not quiet by any means, but its a big fan. We use ours all the time. Cut chicken breast up into nuggets, spray lightly with oil, drakes seasoning mix, 375 for 14 minutes shaking every 3-4 minutes, toss in sauce, 2 mins more to caramelize. 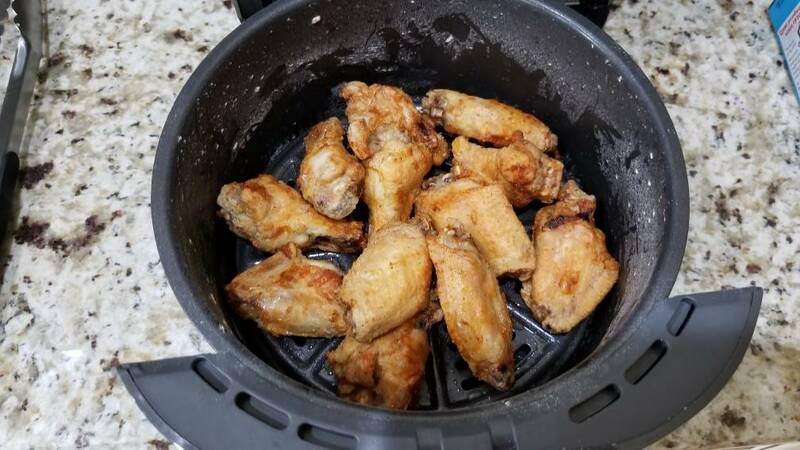 Publix chicken wings, breaded with a brand that has likely received cease and desist letters from KFC, shuffle and flip every 6 minutes for a total of 24 to get them a little crispy on the outside. So happy with this thing. 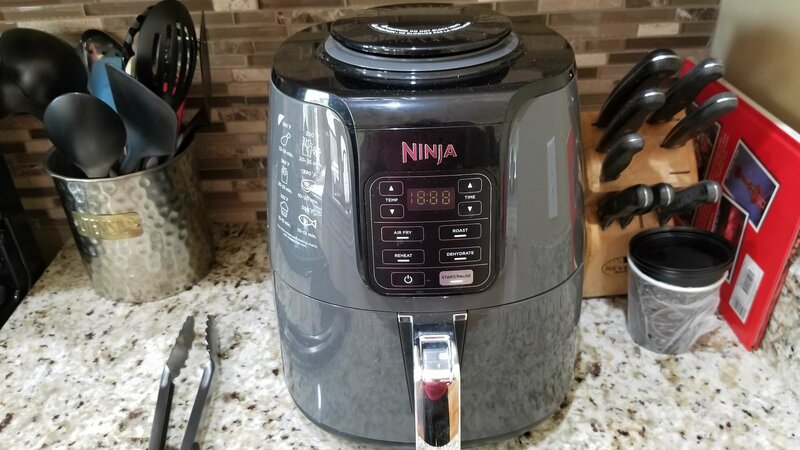 After using our air-fryer for a short time, I have put together my definition of an air-fryer. 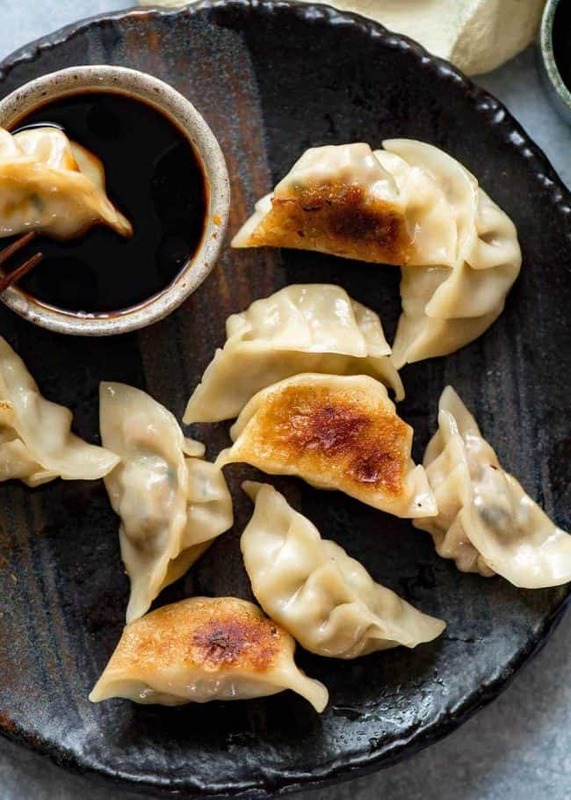 An air-fryer is a machine which circulates and blows hot air over your food, removing the moisture in your food and drying it out in the process. But if you want to make potato and banana chips, then this machine may be for you. I've never had anything we've cooked in ours come out dry. It's called Kentucky Kernal and the guy on the box looks suspiciously like Colonel Sanders, but with a cowboy hat instead of a bow tie. It's basically flour and spices. I didnt look at the box, but I bet there's 11 of them. 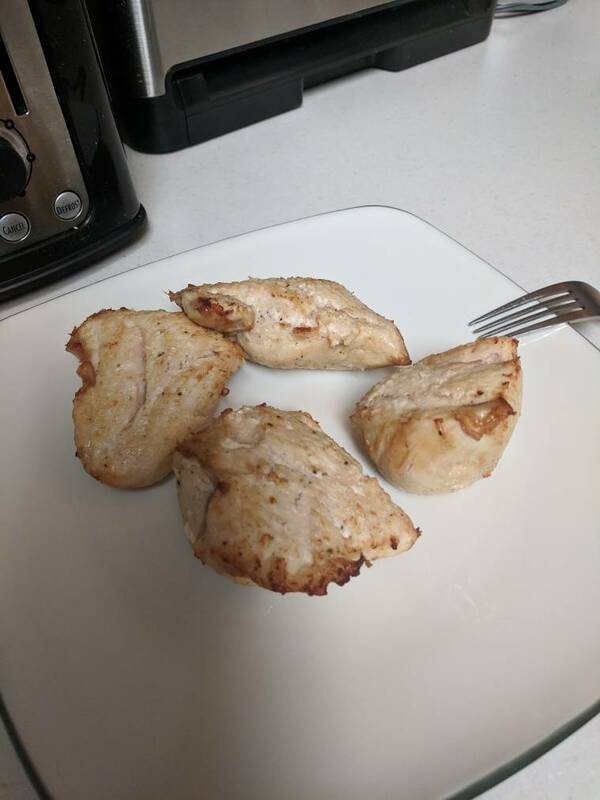 Made some chicken breasts tonight and they were fantastic! Wish there was an air fryer with like 4 times the space! I'm sure it's coming soon. Had some delicious chicken breasts and boneless pork chops this week. Chicken wings were a failure tonight. Recipe I found left them completely burnt. Now I know what NOT to do. Made some diced potatoes in my air fryer today. Ingredients added was olive oil, minced garlic, salt, pepper, and parsley. Cooked at 350 for 20 min. Turned out nice and very tasty.